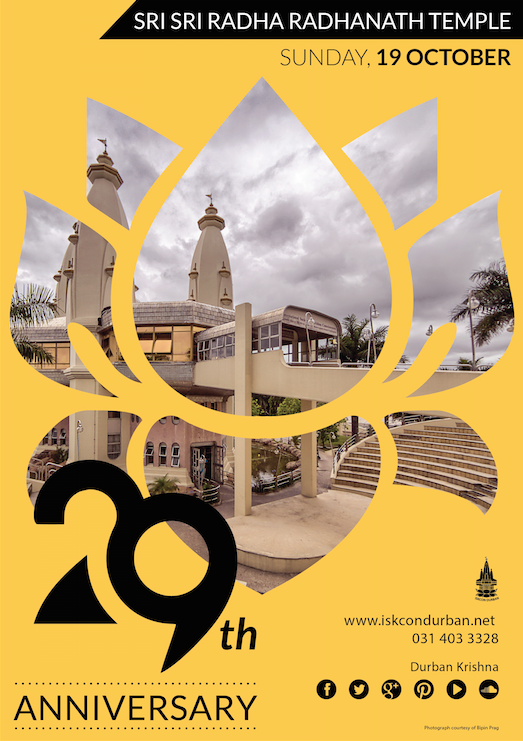 We celebrate Sri Sri Radha Radhanath Temple’s 29th Anniversary on Sunday, 19 October. Our prayer is that you all join in our celebration and show gratitude to Sri Sri Radha Radhanath. We invite you to make a pledge of service and gratitude to Sri Sri Radha Radhanath on our Pledge Wall. Whether you promise to visit Them once a month over the next year or distribute Srila Prabhupada’s books, anything …They would love to hear and read your pledges. We are fortunate that His Grace Nanda Kumar Prabhu, a disciple of Srila Prabhupada, and one of the main devotees behind the establishment of the temple will join us. 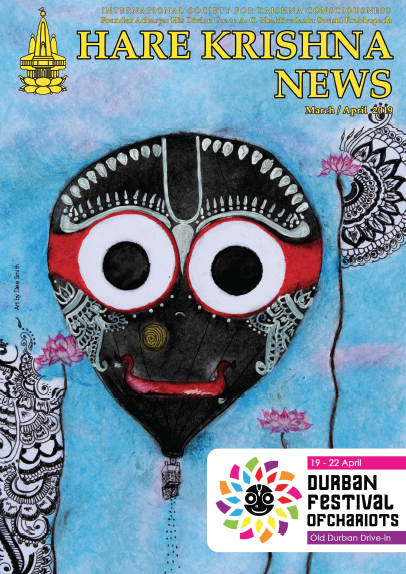 Friends and family can offer lamps to Lord Damodar at our stall at the FNB Diwali Festival at the Old Durban Drive-in. Kartik packs will also be available to anyone wishing to continue to offer lamps to Lord Damodar in their homes. 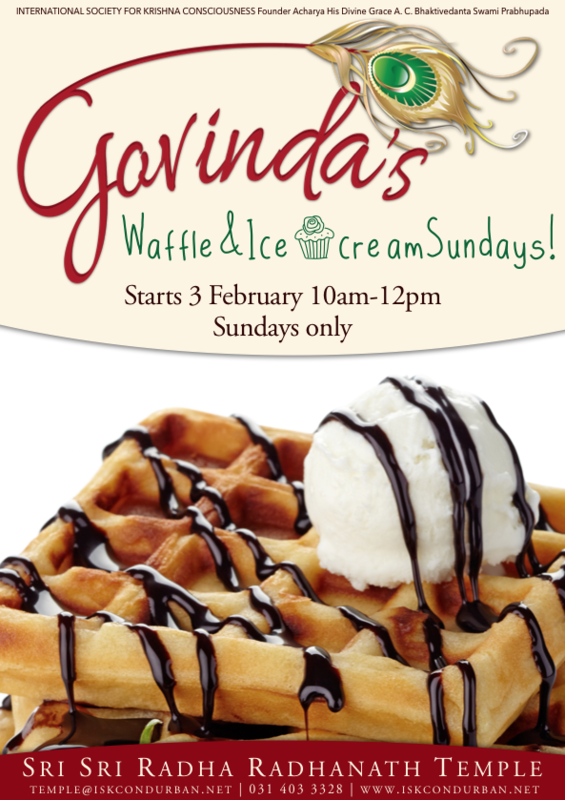 Starting on the corner of Grey and Prince Edward Street and finishing at the Old Durban Drive In. 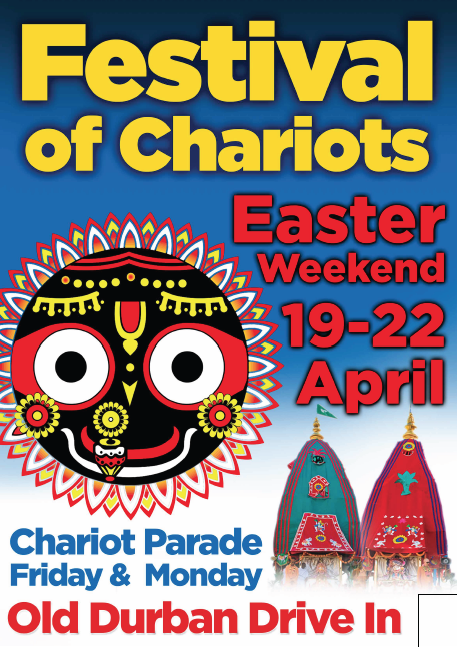 Please dress in your smartest Vaishnava attire, wear garlands, gopi dots and carry flags and banners. Let the holy name enter the hearts of all passersby.